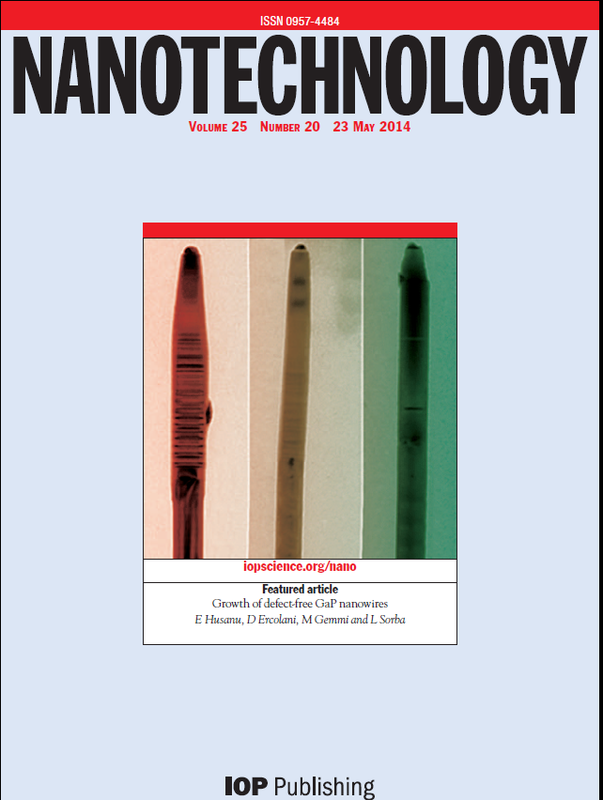 The Institute of Physics journal “Nanotechnology” has chosen an article written by NEST researchers as cover story for issue 25 of 2014. 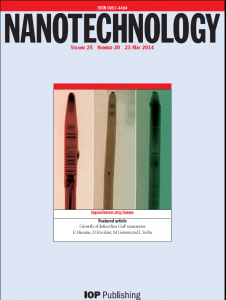 The article is describing how Chemical Beam Epitaxy growth conditions influence the crystal structure of Gallium Phosphide nanowires. By carefully choosing the growth parameters the GaP nanowires can be grown with a defect-free wurtzite crystal structure, non-exixtent in bulk GaP crystals. The interest in wurtzite GaP is given by theoretical prediction and experimental confirmations on the direct nature of its electronic bandgap. The bulk form of GaP -with cubic Zincblende crystal structure- is an indirect bangap semiconductur with little techological interest for its optical properties. The direct nature of the bandgap opens new interest in the possible optical and optoelectronic applications of the material in a rather unpopulated spectral region.